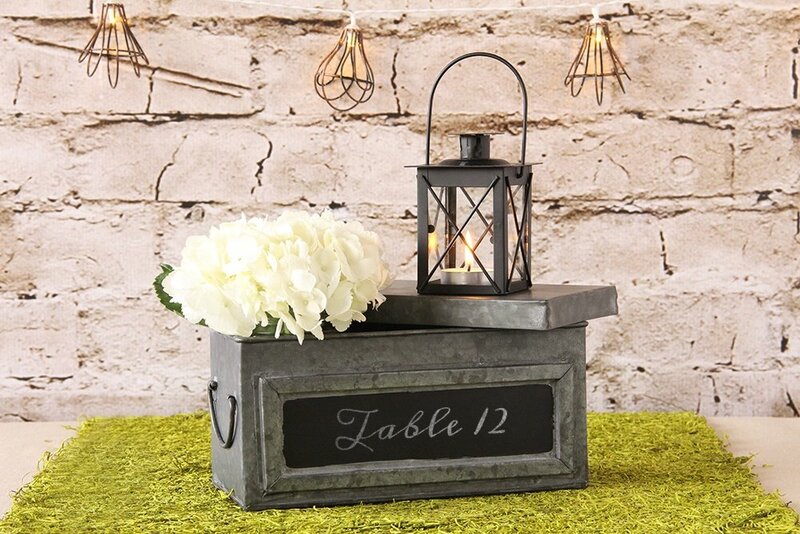 As we previously mentioned in our “How-To Make This DIY Rustic Industrial Chic Paper Mache Letter” post, industrial chic is an extremely popular trend found in the wedding industry right now. It is most commonly found in city venues but is making its way towards a town near you (if it hasn’t already made its arrival known). This look is popular because it seamlessly pulls together a lot of different elements, in order to create one cohesive look. In the end, an industrial chic theme will look equally as feminine as it does masculine, as pretty as it does sleek, and as classically romantic as it does trendy and modern. 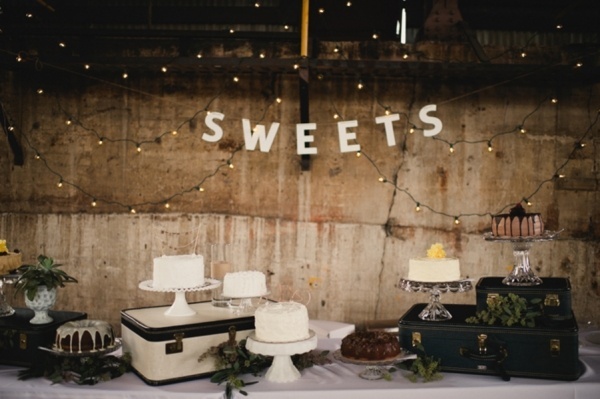 Infuse these key elements into your wedding theme to beautifully and effortlessly pull together your very own industrial chic themed wedding. 1) Include metal into the mix. 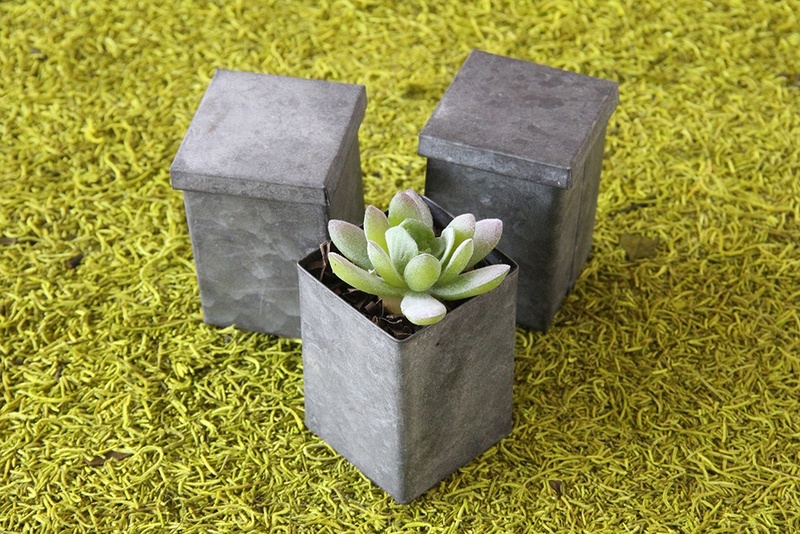 2) Counter the cold metals with softer, more natural elements like flowers and succulents. 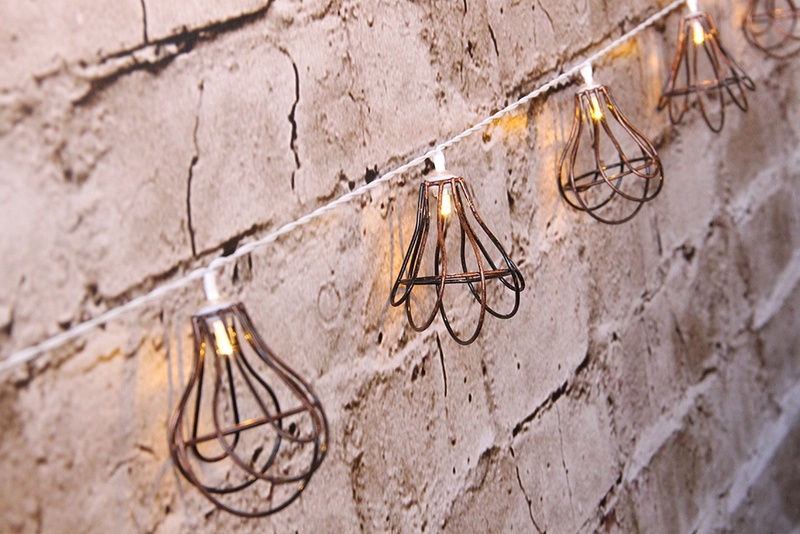 3) Hang wire designed lighting throughout your venue. 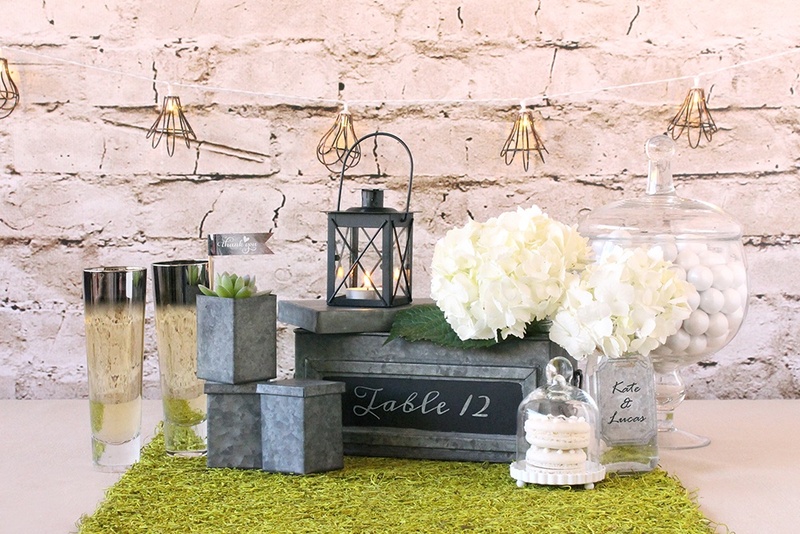 The soft mood lighting coupled with the wire design is a perfect example of industrial chic done right. 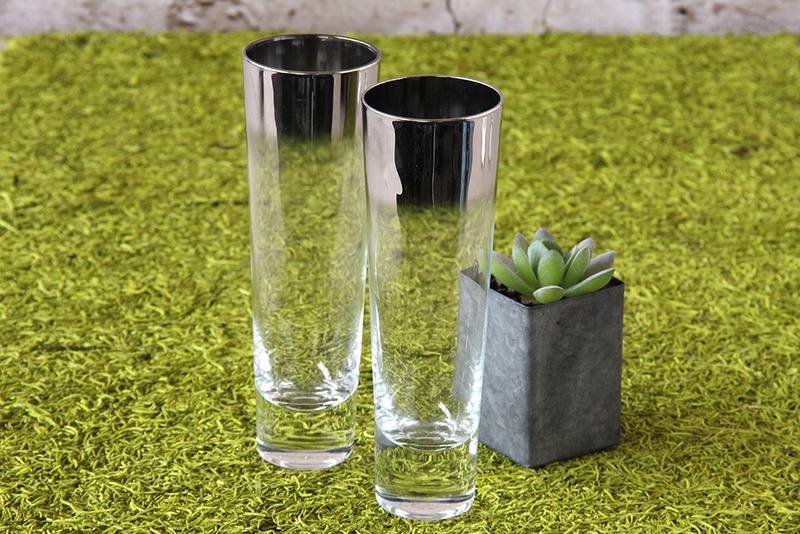 4) Offer modern drinkware decorated with a metallic silver embellishment. 5) Take advantage of cool exposed brick, concrete walls, and industrial looking ceilings by adding warm touches like banners and twinkle lights. 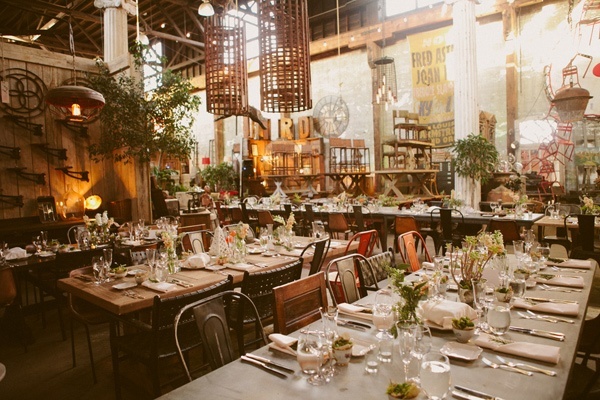 Industrial chic is simply the marriage of hard elements coupled with soft elements. Textiles, plant life, and mood lighting soften up harsher features like brick, cement, and metal. These contradicting pieces work together to create a symbiotic look that can easily be appreciated by anyone with a love for style. To shop even more of this look, visit our industrial chic collection now.